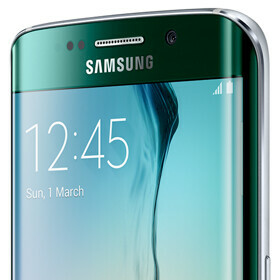 Samsung says the Galaxy S6 and S6 edge are "the most beautiful smartphones" in its history - do you agree? Yesterday, when Samsung finally announced the Galaxy S6 and Galaxy S6 edge, JK Shin, the company's President and CEO, took the stage at MWC 2015 in Barcelona to tell us a few things about the new handsets. According to JK Shin, the Galaxy S6 and S6 edge are "the most beautiful smartphones" in Samsung's history. Younghee Lee, Head of Mobile Marketing at Samsung, also mentioned that the S6 and S6 edge are the results of "the most significant team effort in this company's history." Of course, whenever a company states something about its products, the statement is true only if customers agree with it. With that in mind, we decided to make a poll and ask you if you believe the S6 and S6 edge are indeed Samsung's most beautiful smartphones to date. Before answering, you should definitely check out our Galaxy S6 hands-on, and our Galaxy S6 edge hands-on - both including videos. In case you don't think the S6 and S6 edge are Samsung's best looking smartphones thus far, feel free to let us know which of the company's older handsets look better to you. Also, in case you didn't get the chance to watch Samsung's Galaxy S6 and S6 edge Unpacked event (where JK Shin and Younghee Lee talked about the two new flagships), you can do it here. Are the Galaxy S6 and S6 edge the most beautiful Samsung smartphones ever? I'd be curious to know what the most beautiful Samsung smartphone is for those who answered no. I answered "no". It will be hard for Samsung to beat Alpha, one of most beautiful phones ever and surely best looking Samsung in history. Android phones have always had the best designs. This is no surprise. The have no answer. They just want to find a way on hating on the S6 and S6 Edge. It's their insecurity that voted for No. Sony fans are okay. It's just Apple fans who need to be banned from this site. I hate those silly idiots. Lol no they're not. They're quiet now because the S6/Edge is better than they thought, but you should have seen them before yesterday. They'll come back around soon with something new to hate on. Hello citizens of PA, it is I, your professional Sony fan host for today. Bringing you my personal opinion to this topic. Please read comment #58. Thank you. Dude, you ve been criticizing the S6 and S6 Edge for the past 24 hours. Samsung haters are doing their best to gain some credibility, mainly Sony fans. Suddenly, and out of nowhere they started liking the Note 4, A series or wave series, just to mention after it how the S6 is a downgrade and all that hating bullcrap. Freedom of speech, I can criticize anything I want. It's all about personal opinions. But that doesn't mean that I'm hating Samsung or the phone itself, and I only criticized the design on the S6 and Edge, not the whole phone itself. Also, I can criticize the S6 and then praise the Note 4, A series and Wave series. You can't stop me. This is my style. If I don't like it, I'll criticize; if I like it, I'll praise. No one is telling you to stop criticizing Samsung, your whole life depends on doing so. All am saying is, enough with your hypocrisy, suddenly liking previous Galaxy generations while hating on the S6, just to gain more credibility to the 'i am not bashing on the S6 because i am a Sony slave' story. I'm not changing my tune. The S6/S6 Edge look good, and the S6 Edge curb stomps the Note 4 in the "appearance" category. I'm not sure I'm willing to pay an extra $150 for the Edge, though, since it really doesn't have any extra functionality. We'll see when I get to hold each one in my hands. Haha what Apple fans? You mean Dark, Mxy, Tim, and the guy with the trollface pic (sorry, forgetting your name)? They're tame compared to some of the commenters I've seen here that profess to be Android fans. The guy with the trollface pic is called Ninetysix a.k.a. Apple PR a.k.a. Darkjedii's second account. Why because they don't agree with you? They are entitle to their opinion. Opinion is like an a*** everyone has one. Another thing, beauty is subjective, not objective, grow up. an opinion must have a reason. and not just blatent trolling. they just troll because they find it funny. I have voted "No" since i like the design of Alpha and Note 3 / 4 than this one. S series is always inferior in design compared to Note series. This has nothing to do with Sony / apple fans since the statement is "Most beautiful Samsung smartphone" not "Most beautiful smartphone". Note 4 is Samsung's best looking smartphone. It's way more unique to look at. GS6 is a beast that's certainly decent looking but the glass metal sandwich design is unoriginal, the camera hump is distracting and inconvenient and it brushes too close to Xperias and iPhones. I wouldn't mind if Samsung stuck with smooth matte plastic or faux leather. Hard to disagree with the Note 4. Functionality & premium feature in the design is a great combo.